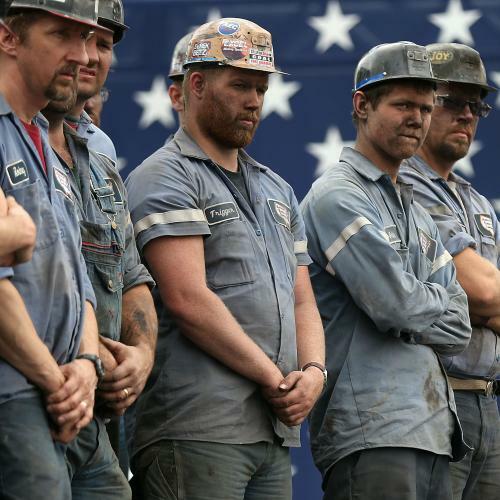 On August 14, several hundred coal miners joined Mitt Romney at the Century Mine near Bealsville, Ohio, to cheer the Republican nominee as he denounced a “war on coal” by the Obama administration. Two weeks later, an official of the company that owns the mine, Murray Energy Corp. (which has given more than $900,000 to Republican candidates in the last two years, far more than any other coal company) admitted that the miners were not all there by choice. “Attendance at the Romney event was mandatory,” Rob Moore, the chief financial officer of Murray Energy told radio host David Blomquist. Mandatory, but unpaid. Because the mine was closed for the Romney event, miners lost a day of pay. Is this legal? Is this right? Interestingly, just a few days after the rally, the F.E.C. decided a case involving an employer in Hawaii that required its employees to campaign, on their own time, for Democratic congressional candidate Colleen Hanabusa. (The employer happened to be a union, but the case had to do with its staff, not its members.) In what might seem like a reversal of partisanship, the Commission’s three Democrats supported the general counsel’s judgment that such coercion violated the Federal Election Campaign Act, which forbids employers from coercing workers to contribute to a campaign. But its three Republicans argued that because the work was part of an independent effort by the union, and didn’t involve contributions to the campaign itself, the law didn’t apply: A union or corporation’s “independent use of its paid workforce to campaign for a federal candidate post-Citizen's United was not contemplated by Congress and, consequently, is not prohibited by either the Act or Commission regulation.” Without a majority on the Commission, it was unable to act. In the view of the three Republicans on the FEC, then, Citizen’s United means not only that a corporation or union can deploy money in an independent effort to affect the outcome of an election (including money that rightfully belongs to its shareholders), but that it can deploy any other resources it controls—including its employees’ time, both on and off the clock. One might hope that there is some remedy in employment law—surely a company can’t fire you for your political activity, or inactivity, in your free time? The answer, unfortunately, isn’t so clear. The doctrine of “at-will employment”—an employer can fire you at any time, for any reason or no reason—is quite sweeping, and political affiliation or activity is not protected under Title VII of the Civil Rights Act. Law professor and blogger Eugene Volokh recently published a thorough analysis of state and federal statutes and case law affecting employees’ rights to free speech and political activity, reporting that “about half of Americans live in jurisdictions that protect some private employee speech or political activity from employer retaliation.” But, he explains, many of those protections are quite narrow, and apply only to employers coercing employees to vote a certain way, or retaliating against them for signing petitions, as is the law in both Ohio and Hawaii. After declaring that “corporations are people,” Mitt Romney earlier this year clarified that what he really meant was that corporations are made up of people—employees and shareholders. But if both the employees’ time and the shareholders’ money can be deployed by the corporation to advance what management sees as the company’s interests, overriding employees’ and shareholders’ own rights as citizens, they are hardly people at all. It’s difficult for many of us who are educated, white-collar workers with relatively benevolent employers to appreciate the magnitude of the constraints on freedom that are routine elsewhere in the workforce. We might imagine we would quit if our boss ordered us to campaign for a candidate, even one we supported. But many Americans don’t have that freedom—nor the freedom to refuse a drug test or a work schedule that requires them to be on call at almost all times. They face strict parameters about what they can wear, how they can style their hair, when they can use the bathroom, and whether they have access to a phone in order to be reached in a child-care emergency. Libertarians, who believe that only government can restrict freedom, are blind to these encroachments on liberty. The Ohio rally and Hawaii decision are small blips in the campaign season, and we don’t know how widespread these practices are. But they should serve as a sharp reminder that the choice in Citizens United and other debates about political money is not between freedom and regulation, but between real freedom for individuals and the sweeping power of concentrated wealth.